As we draw near to the end of May, our summer-term tour of topical Maths investigations is ready to stop at the FA Cup Final for some fun KS2 football Maths activities! The first ever FA Cup (or the Football Association Challenge Cup) was played through 1871-72, making it the oldest football competition in the world. It’s also one of the most popular. Considering that pupil engagement is closely linked to how interested they are in their work, the popularity of the FA Cup makes it an ideal candidate for a topical investigation to get your pupils practising their all important reasoning skills. With this in mind, here are some topical Maths investigations linked to the FA Cup 2018 to try out in the classroom this week. Plus a bunch of online football Maths games. Plus, for printable football Maths activity worksheets and more topical Maths investigations linked to the 2018 summer term, download your free topical problem solving resource. Using the image above, work out the answers to the following questions. 1. How many goals were scored in total? 2. Which team scored the highest number of goals in both rounds? 3. Which teams scored 3 goals in both rounds? 4. Which match had the largest goal difference? 5. Which match resulted in a draw? 6. Calculate the mean, mode and the median number of goals scored. Round any decimals to 1 decimal place. 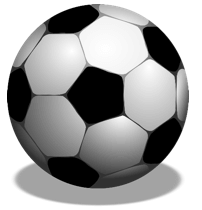 Update: If you are on the lookout for more football Maths problems then why not check out our 2018 World Cup Maths blog which is packed with problems and activities for your pupils to tackle. Enjoy the reasoning around footie Maths, and don’t forget to tweet us @thirdspacetweet and tell us what you get up to in school for the FA Cup Final!